Planting in 20-inch rows and using cover crops bring initial returns, and challenges, for Wisconsin strip-tillers Nick Viney and Josh Trautman. When Nick Viney partnered with Josh Trautman to form Badgerland Grain Farms LLC in 2006, they started with just 155 acres in south-central Wisconsin. But during the last 7 years, they’ve grown their Evansville, Wis.-based operation to more than 1,800 acres, an even split of strip-till corn and no-till soybeans, with about 180 acres of no-till wheat. Although both had backgrounds as certified crop advisors, Viney says he and Trautman essentially “started from scratch” building their farming system. 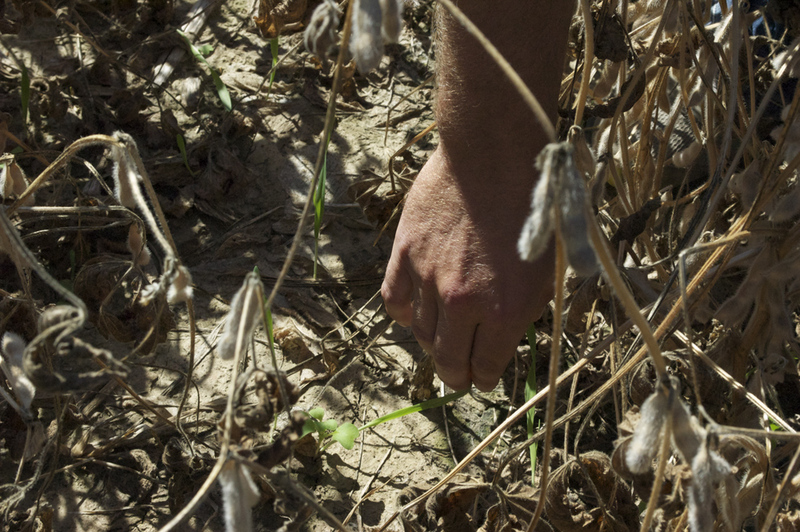 They began no-tilling soybeans and conventionally-tilling corn: In 2010, they moved to 75% no-till corn, along with planting both corn and soybeans in 20-inch rows. 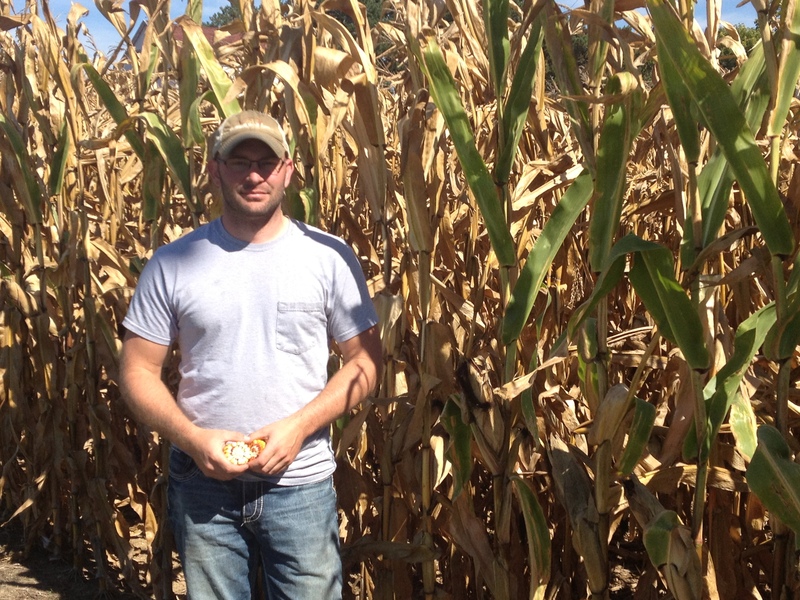 By 2012, they were 100% no-till corn, but Viney says they weren’t getting the yield results they wanted. So that fall they committed to strip-till. “With our rocky soils, our climate and my lack of patience, no-till just wasn’t going to work for corn, so we switched it up,” Viney says. “We got our strips built in last fall, and even with the wet spring we’ve had this year, we were able to plant when guys who were no-tilling couldn’t. After several years of conventionally-tilling and no-tilling corn, Nick Viney at Badgerland Grain Farms moved to strip-till in 2012. They are expecting an 8 to 10 bushel per acre bump planting in a 20-inch system and were able to plant earlier, despite a wet spring. While Viney and Trautman switched their tillage practice for corn, they carried over their 20-inch row planting system, with the expectation that it would provide a yield boost over no-till. They used a 12-row Thurston Mfg./Blu-Jet strip-till rig, set to 20-inch spacings, to build fall strips 6 to 8 inches deep and 8 inches wide. They then planted corn into a 3 to 4 inch berm with their 24-row John Deere planter. But even with RTK, they struggled to stay on the strips when planting the 20-inch rows. Another challenge they encountered with the 20-inch system was being able to make a rescue-nitrogen application after heavy summer rains jeopardized one of the fields. Viney has a Hagie sprayer that could have easily cleared the corn, but he couldn’t drive between the rows. The rescue application proved worthwhile, Viney says, and probably resulted in 30 to 40 more bushels of corn in a 100-acre strip-tilled field they harvested in late September. The field produced about 200 bushels per acre. But next year, Viney will switch to 30-inch rows for corn and 15-inch rows for no-tilled soybeans, and have a co-op build their strips in fall. Despite the potential yield boost from strip-tilling corn in 20-inch rows, the cost and effort to sustain the system isn’t currently feasible, Viney says. Viney didn’t rule out returning to 20-inch rows in the future, but they’re more focused on tweaking other areas of their strip-till operation — including the use of cover crops. COVERING UP. Badgerland Farms incorporated cover crops into their operation three years ago and this year aerially applied a mix of spring barley and turnips as well as a mix of a half-bushel of spring barley and a half-bushel of cereal rye, on soybean ground ahead of strip-tilled corn. For the last 3 years they’ve planted annual ryegrass, and a mix of ryegrass, radishes and crimson clover in their no-tilled fields. While this worked well, Viney says the combination was a little inconsistent in catching nitrogen, so they are trying something new in 2013. They aerially applied a mix of spring barley and turnips, as well as a mix of a half-bushel of spring barley and a half-bushel of cereal rye, on soybean ground ahead of strip-tilled corn. For the spring barley and cereal rye mix, Viney is expecting some fall growth from the spring barley and then a winter kill, but then in spring, still have some cereal-rye coverage. Viney says they are trying to be cost-conscious fertilizer with applications, so any nutrients that can be preserved are going to help improve soil health. SPACING OUT. 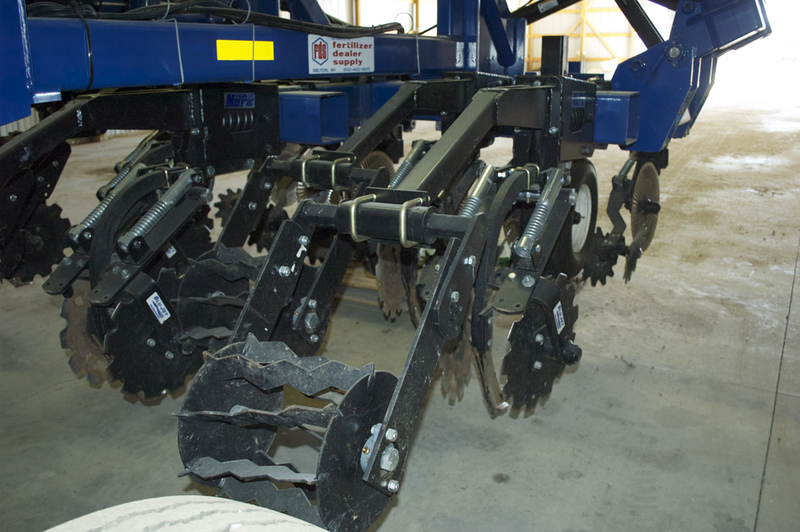 In 2012, Badgerland Farms used a 12-row Thurston Mfg./Blu-Jet strip-till rig, set to 20-inch spacings, to build fall strips 6 to 8 inches deep and 8 inches wide. They then planted corn into a 3 to 4 inch berm with their 24-row John Deere planter. But even with RTK, they struggled to stay on the strips when planting the 20-inch rows and will switch to 30-inch rows to provide more flexibility. They apply 50 pounds per acre of MicroEssentials SZ (MEZ), which contains nitrogen, phosphorous, sulfur and zinc, with the strip-till rig and spread 100 pounds per acre of potash in the strips. Then in spring, they apply 10 gallons per acre of a nitrogen-sulfur mix (28-0-0-5S) with the planter and, and sidedress another 30 gallons per acre of that mix. Eventually, Viney says they would like to cutback on their spring nitrogen application and be a little more efficient. While it’s going to take time to fine-tune their system, Viney says they’re committed to strip-till after seeing some first-year positives ahead of harvest. In the future, Viney says they would like to move to a coulter-set up on their next strip-till rig and build spring strips. This could allow them to eliminate starter application with the planter, and also be more accommodating on rockier ground.